NYE at the Rutland Centennial Hall! 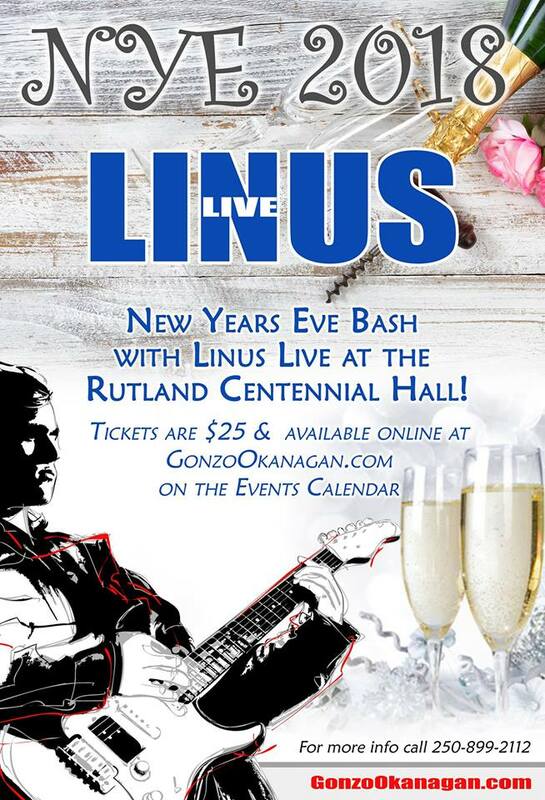 - LINUS LIVE MUSIC IN THE OKANAGAN! NYE at the Rutland Centennial Hall! NEW YEARS EVE TICKETS AVAILABLE HERE NOW!